2017 is coming to a close, so it’s time to reflect on the myriad of drama we’ve been treated to this past year in the world of Dota 2. Here are some of the more notable debacles. Admittedly, I had no clue who she was until the drama bomb of 2017 hit /r/Dota2 and the ensuing mod conspiracy theory fallout was under full swing. I wrote about it in more detail here, but the tl;dr is a popular stackmate of Bulldog pretended to be someone she wasn’t by using a model’s photos and images on social media. When she was outed, the mods of /r/Dota2 initially deleted the thread (allegedly due to the caliber of comments populating it) which triggered mass accusations of unfair censorship and whiteknighting. This was a top 10 drama blowup for sure. Drama Status: Definitely still simmering. Some people still have a bone to pick with the mods over the initial thread removal. Playing into the Nara incident is Reddit’s treatment of CCnC, a semi-pro player/analyst who would later join PPD’s squad. He was invited to TI7 as part of the panel, and Dota fans were quick to point out that he was prone to raging in games, feeding, and generally being a really salty player. Dota is no stranger to controversial idols. PPD is known for his salty attitude, EternalEnvy rage-feeds sometimes, and people love RTZ for his babyrage. CCnC was raked over the coals pretty hard by the Reddit community though, and mods generally didn’t remove threads about him despite the personal attack nature of some of the comments. This fed into the whiteknighting accusations in regard to Nara’s threads being initially removed. Drama Status: Hard to say. I think people are over CCnC’s salty behavior in pubs (at least threads about him aren’t dominating the front page any more). Ana owes some guy a lot of money (allegedly). Apparently, unknown-at-the-time player Ana signed a contract–or rather, his legal guardian signed it, since he was underage–offering 10% of his future winnings in exchange for coaching, exposure, and living situation. Once Ana started winning with OG, his personal coach claimed that he never paid out, despite the coach fronting a bunch of expenses. Ana had a run-in with contract issues in the past (with IG) as well. Drama Status: The ex-coach (wobbly_au) said they would be giving the proceedings to charity minus the legal fees, should he win his case against Ana. I don’t think there’s been an update on the situation yet, and Ana hasn’t publicly addressed the accusations. Valve Time. Pay to Play. 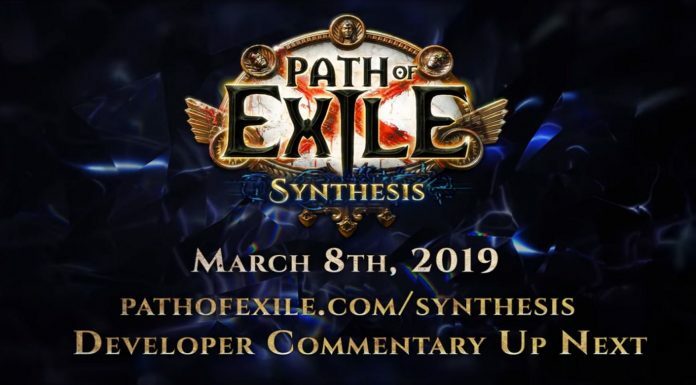 We finally get something close to a single player campaign in Dota, and it was marred by typical Valve shenanigans. Siltbreaker was locked behind the Battle Pass paywall, which makes it effectively DLC. This is fine, but the pass expired after a certain time, which means if you didn’t play Siltbreaker Acts I and II during the window, you can’t play them. Act II was also delayed, but that’s pretty much par for the course with Valve. Drama Status: Well, it’s gone now. You can find Siltbreaker in the Arcade, but expect it to be buggy and broken. Fiddling with the beloved metric of rating one’s status as a player is always a contentious act. One of the issues with the MMR system was persistent “power creep.” The top MMR cap kept creeping up, making it difficult to gauge players’ abilities. For example, if the cap used to be around 7K and now it’s possible to hit 10K, the relative skill of a 2K player is now different when compared against the entire playerbase. Valve’s answer was to reset MMR and use an entirely different system. There are ranked seasons now, where MMR resets every few months. Instead of a number, you have a badge next to your account (similar to LoL’s system now). This should deter some account buyers, at least. Drama Status: Heralds be salty. The Reef’s Edge terrain was used on the official International tournament streams. 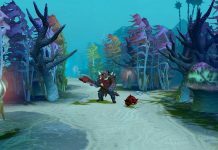 Fans were concerned that new viewers watching Dota for the first time would be too confused with the underwater “novelty” terrain. They do have a point, as it is non-standard, although it probably would have been fun to have it enabled for a little while longer. Valve stopped using the map on the TI7 stream after viewers complained. Apparently, this was due to a misunderstanding between LD and Roman Dvoryankin of VP. Pitchforks were raised, discussions of what exactly one means when one says they’re not attending minors ensued, everyone got mad, and Virtus Pro qualified anyway. 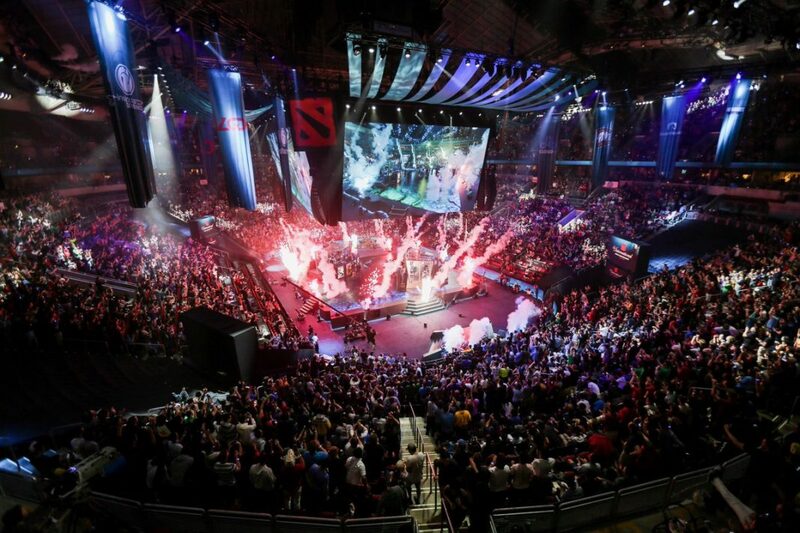 Did I miss any major Dota 2 drama? Let us know on Twitter! Next articleDota 2: How and When Should Pro Teams Be Allowed to Pause?